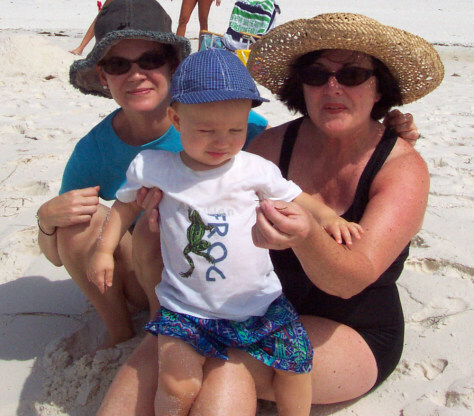 Linda Sanders, right, of Crestview, Fla., relaxes in happier times with her daughter, Shelley Sanders, and grandson, Cannon Kluytman. Linda Sanders, 62, mistakenly received a large dose of an anti-seizure drug instead of a prescription pain reliever in 2008. Two days after taking the drug, she committed suicide. Her daughter believes the medication mistake was to blame.